A Challenge Accepted by Technology to Bridge the Aging-In-Place Dilemma. According to the AARP, nearly 90% of seniors want to stay in their own homes as they age (often referred to as “aging in place”) rather than move to assisted living or out-of-home care in a nursing home.This dilemma puts a burden on loved ones to find proper care in the home that stays within their budget. Not only is it difficult to find affordable home care, but many seniors with slow, debilitating diseases don’t show symptoms until the illness has progressed. Early diagnosis helps alleviate the fear of an elderly loved one having a life-threatening event at home, but this usually only happens when clear symptoms show the need to see a physician..
An estimated 20 hours a week is required to care for an aging loved one, and the AARP estimates that only 29% of patients live with their caregiver. The invested time and added stress put a burden on a family member that acts as the caregiver, and 47% of caregivers have used up all or most of their savings to provide transportation for doctor visits, living expenses, medical supplies, and medication for their loved one. 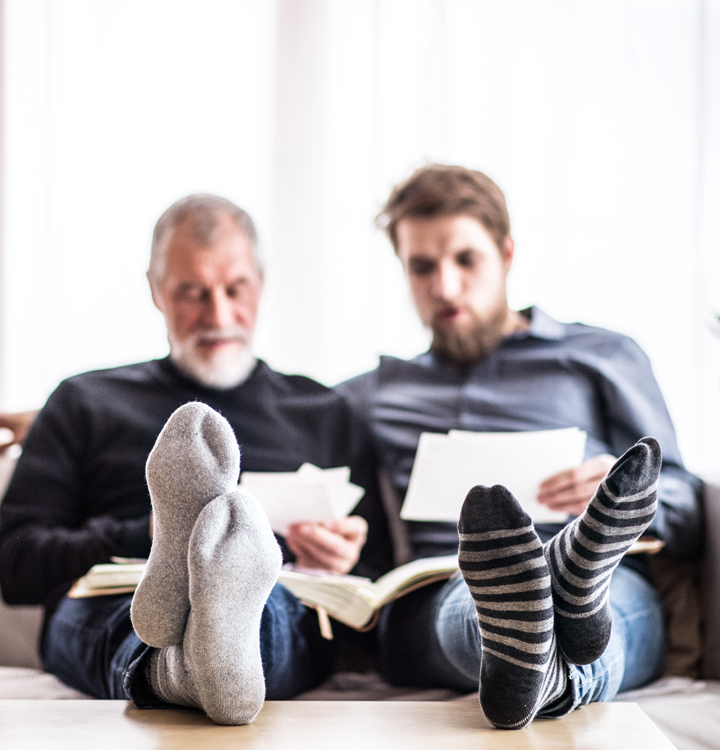 As the Baby Boomer generation (the 74.9 million Americans born between 1946 and 1964) retires from the workforce, the demand for elder care and assisted living will continue to increase at an unsustainable rate. The cost for a loved one to provide support in their own home averages about $143,000 including lost wages due to dropping out of the workforce for about 5 years and returning to a lower salary due to out-of-date job skills. Chronic illness isn’t the only reason for home care. Other life-threatening events are common with aging patients. A patient might forget to take medication, drive when physically not capable of doing so safely, or slip and fall. These events require constant monitoring and usually the patient must either have a nurse at home or live at the caregiver’s residence. At-home care becomes a round-the-clock responsibility for patients that require constant monitoring, but caregivers that support patients 24/7report poor health, poor eating habits and a higher rate of depression. With the rise and popularity of Internet of Things (IoT), this technology can help alleviate much of caretaker burden. IoT devices connect a home to the Internet and give users the ability to review, manage and run services from a remote device such as a laptop, tablet or smartphone. Leveraging IoT devices, a patient can be monitored remotely for each significant activity. They can monitor activity and alert a caregiver should a patient need assistance. Healthcare professionals use a metric called Activities of Daily Living (ADL) to assess when a patient needs care. It’s used to understand the level of independent activity and determine the level of care needed from a caregiver. It’s a qualifying factor for Social Security Disability Insurance (SSDI) and government benefits including Medicare. ADLs help quantify activity, so healthcare professionals can assess how much care is needed to keep the patient’s quality of life. The patient does not need to fail at all of these activities. Some weigh heavier than others, but insurance companies including Medicare use them to determine if the patient is covered for at-home or assisted living. When seeking financial assistance, these ADLs are a benchmark for approval. ADL metrics can also be used to monitor patients using IoT devices. Most current apps on the market only monitor one or a small group of ADLs, but the metrics provide a global benchmark that can be used in healthcare to determine patient independence. The Internet of Things (IoT) has changed the way healthcare professionals communicate, monitor, and evaluate patients. Doctors use IoT apps to monitor heart rates, blood sugar levels, blood pressure and other vitals. In recent years, the artificial intelligence (AI) community has improved algorithms that can be used to create apps that make intelligent decisions based on patient data. These decisions help alert doctors of dangerous conditions. They are also used to alert the patient to take medications, monitor low blood sugar levels, or detect irregular heartbeats. Because these apps monitor critical vitals, they save patients hospital visits and emergency situations that could be life threatening. For instance, the average cost to treat a patient who forgot to take blood pressure medication is $4,000. With IoT and monitoring, patients save from emergency medical care using reminders and alerts when vitals pass healthy thresholds. Some apps alert doctors to critically high blood pressure before the patient must go to the hospital. Current apps on the market offer monitoring of one vital sign or a group of vitals based on a specific condition. The market currently doesn’t provide any apps that monitor a patient’s full line of ADLs and reports activity to a caregiver. Apps currently on the market account only for patients already diagnosed and not those who could have long-term critical impairment that hasn’t been detected yet. Remote Home Check is an IoT solution that encompasses all facets of monitoring patients directly from a mobile device. Patients can age at home freely while Remote Home Check gives loved ones the ability to monitor safety, activity levels, medication and food intake. Remote Home Check solves several issues that other apps don’t address. Proactively monitors activity before any emergency situations happen with a previously healthy patient. Monitors prescription medication activity to avoid missing important dosages. Customizes a solution based on the patient’s unique requirements and a caregiver’s level of monitoring needs. 24/7 monitoring, so the patient can live at home and loved ones can oversee activity without being physically at the location, leaving them to continue work and regular daily activities. Alerts for any unusual activity or low activity levels sent directly to the caregiver’s phone or email. ADL metrics are used to determine activity and care based on the same ADL numeric values used by insurance companies and Medicare. Remote Home Check has its own proprietary algorithms that determine activity and independence. When a user signs up for an account, basic information is first entered (name, address, phone, email) and then a self-evaluation of the patient is performed. Red, yellow, and green are used to indicate low, moderate and high activity. The three color coded ratings make it easier for patients and caregivers to understand ADLs rather than get involved with numerical values that could be confusing. The initial score gives the caregiver a baseline to work with. Each time the user opens the app, they can check the overall status of the patient and view current ADL levels based on the initial score and the patient’s activity for the day. Because IoT is built into several home devices, Remote Home Check syncs with ones that monitor activity and identify if the patient is following standard hygiene protocols and medical requirements. The app searches for Internet-ready devices that can be used to monitor activity such as pill dispensers, connected cars, slip and fall sensors, flushing sensors, and motion detectors. The monitoring takes care of much of the details required by an at-home caregiver. These sensors alert the caregiver to any unusual activity to head-off emergency situations. This works in addition to ADL metrics used to perform daily checkups on the patient. For instance, taking medication properly, checking in on a person’s ability to operate a vehicle, or aggregating activity over time to provide insight into a person’s overall activity level. Remote Home Check covers much of the monitoring that’s underdeveloped and missing in current homecare technology. The average cost of Remote Home Check is $3,000 to $9,000 each year, which potentially saves tens of thousands of dollars during the same period of someone using traditional homecare. 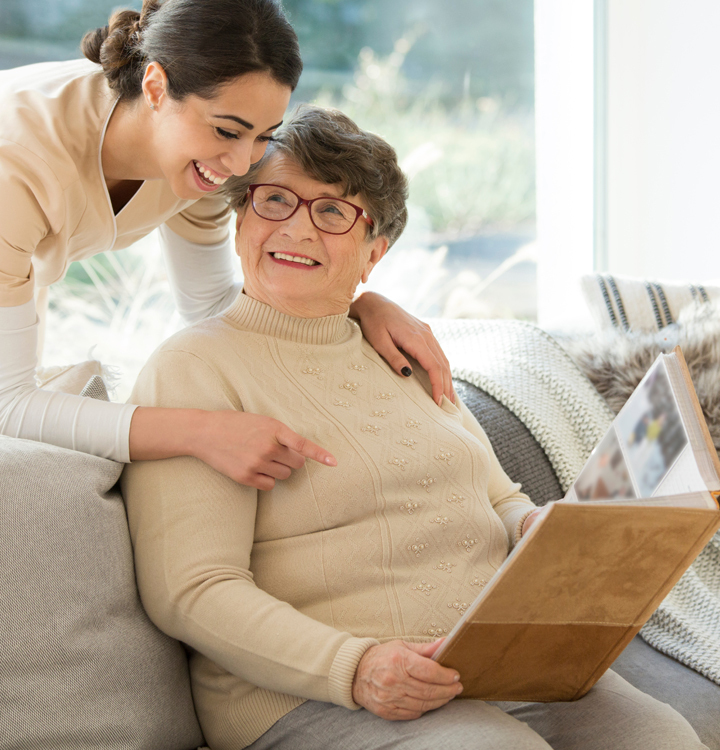 A loved one no longer needs to quit their job and provide care throughout the day, which provides for a better quality of life for the caregiver who can continue employment and activity. The patient has continuous monitoring, and the caregiver is able to continue with their own lifestyle. It provides a way to determine an emergency situation in case an ambulance is needed and a caregiver can remotely call for an ambulance, but the patient is able to live at home safely while continuing their own activities. No assisted living necessary, and in many cases an at-home nurse isn’t needed unless physical assistance is needed. Remote Home Check integrates with current IoT home automation devices, so the technology is in the app and doesn’t rely on development of other devices. Many of the traditional caregiver issues are solved with IoT and Remote Home Check. No longer worry about an aging loved one’s health even if they’ve never had previous issues. Determine your loved one’s ability to live by themselves. 2Monitor all levels of ADLs using proprietary algorithms that determine independence and establish a baseline. Dispatch a nurse to the patient’s home if the caregiver determines it’s necessary. Provide a better quality of life for the caregiver who can still monitor a patient but continue out-of-the-home activities.